The P45007 Clipso Stainless Steel Pressure Cooker by T-fal offers an innovative lid design that makes using the stove top pressure cooker easier than the traditional model. Normally priced below $100 (see lowest price) this canner offers good value for the money. ​This pressure cooker’s ergonomically friendly, one- handle lid allows the user to easily open and close the pressure cooker top. Gone are the days of struggling with the unwieldy traditional pressure cooker lid that required the handles of the cook pot and the lid to be aligned in order to open and close the cooker. ​There are other safety features that distinguish The P45007 Pressure Cooker. Once the cooker is pressurized, the lid is designed to remain safely closed. When cooking is done and the steam has dissipated, the lid opens with the push of a red button on the lid. This variable speed release valve allows the user to safely release steam and pressure quickly. The valve is also located on the lid. And the sturdy, riveted handles located on the side of the cooking pot assure that this cooker can be carried safely. ​There are no variable PSI on the Clipso P45007, so this model will not accommodate canning. Cooking times are managed by simply adjusting the temperature of the stove. For some people, these are disadvantages. Others find the simple operation of the Clipso to be user friendly. 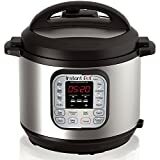 You can still use your traditional family pressure cooker recipes with this model because even though the cooker design has been improved, the cooking method is basically the same. And the Clipso P45007 can be used on all cooktops, including induction. ​Of course, food cooked in the pressure cooker is ready 70% faster than food prepared by conventional methods. Even inexpensive cuts of meat are flavorful after being cooked in the pressure cooker. The stainless steel encapsulated base ensures that food is cooked evenly and has no burned spots. Cleanup is simple with the Clipso. All but the gasket and pressure valve can be safely washed in the dishwasher. ​T-Fal, makers of The P45007 Clipso is a well-known long established business. T-Fal developed the original blend of aluminum and non-stick surface known as Teflon in 1954. The company has created many other innovative cooking products. Today T-Fal is recognized around the world for its pressure cookers, electrical cooking appliances, and other products. ​The P45007 Clipso Pressure Cooker is constructed of durable stainless steel. The cooker comes with a 6-3 quart cooking pot, a steam basket, stand and recipe book. Information about the Clipso is available on line, including a copy of the owner’s manual, and replacement parts. I like this pressure cooker. I have had several others, but what makes this stove-top pressure cooker convenient and easy to use is the lid. You don’t have to have a weightlifter’s muscles to use it! It opens and closes easily. And the two handles on each side make it easier to carry than the old fashioned, one handle version like my mother had. For these reasons, this cooker is better than the traditional model. The size of the cooking pot is fine for most everything. I always like food cooked in the pressure cooker. Everything seems to taste better and it ready so quickly. I’ve gotten used to spending less time in the kitchen. I don’t think that I could every go back to traditional cooking. I was disappointed that I can’t use this pressure cooker for canning because it doesn’t maintain a high enough PSI, but the 6.3 quart capacity is really too small for canning anyway. ​The Clipso does have a steamer basket and I am finding that useful. Steamed vegetables taste really good. Shrimp and tamales are also good steamed. The Clipso is a nice looking pressure cooker. It is easy to keep clean. It also came with a cookbook specific to this model, which I appreciate. Proven Company: the T-Fall company has been a recognized leader in cooking appliances 60 years. Information about the product is easily assessable online. Safety Mechanisms: the pressure cooker has many safety features. The well-designed lid locks when the pressure cooker is pressurized and opens easily when pressure is released. The pressure relief valve on the lid of the cooker allows the user to quickly and safely release steam and pressure. Riveted handles on the side of the cooking pot make it easy to carry safely. Stainless steel construction. The cooking pot and the steam basket are made of stainless steel. This allows for even cooking and easy cleanup. The Clipso Stainless Steel Pressure Cooker is just what it advertises— a quality, well-designed pressure cooker. It doesn’t have an Led screen or programmable control panel to handle a variety of functions like some of the electric pressure cookers on the market, but for some people, simplicity is better. If what you want is a pressure cooker and steamer, this is an excellent choice. The lid really is a practical, innovative contribution to the pressure cooker design. The P45007 Clipso Pressure Cooker is an admirable revision of the traditional pressure cooker that your mother and grandmother used. New design and safety features make the P45007 safe and easy to use. The pressure cooker is simple operate and to maintain. The product is a great option for those who want a stove top pressure cooker. This is the first pressure cooker that will replace my 1942 Presto which works perfectly. It will be used as a back up. Fortunately, I have a Presto Canner model that accepts higher psi and larger capacity. That said, I am impressed with the T-Fal construction and simplicity. still care for to stay it sensible. I can’t wait to learn far more from you. At what PSI does this cooker wook at 5lb? 10lb?